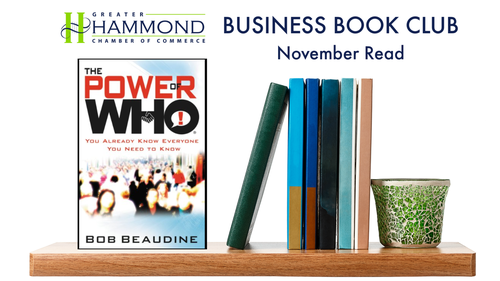 Grow personally and professionally by reading with the Greater Hammond Chamber this month! Our Business Book Club is a great way to learn more by reading the month's business pick and build relationships while discussing the topic with fellow business leaders. Members will need to purchase and read the book prior to the gathering. There is no cost for our members to be a part of the discussion. Join us!